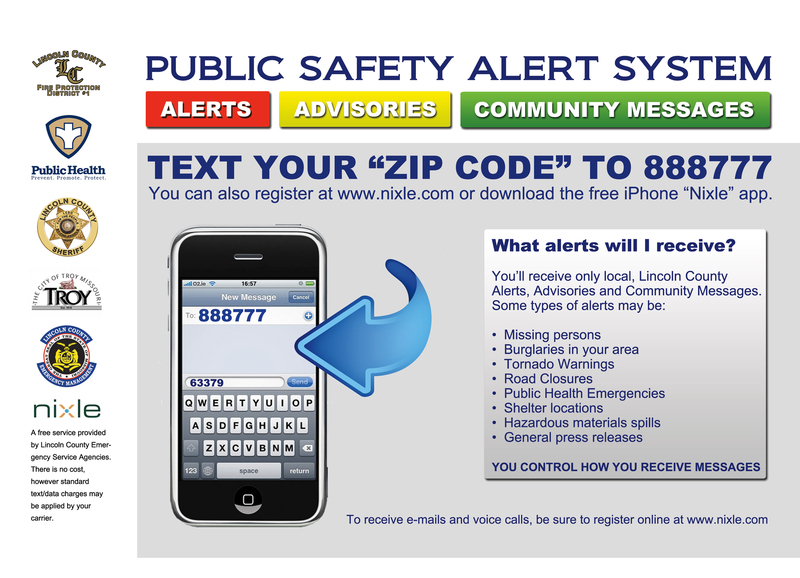 The Lincoln County Public Safety Alert System allows participating government agencies to communicate with residents and businesses by email, text messages and phone calls, keeping you informed during disasters, missing persons, major road closures and much more. Residents can sign up free at www.nixle.com. This service is free to residents and is provided by Lincoln County Sheriff's Office, Lincoln County Fire Protection District #1, Lincoln County Emergency Management, Lincoln County Health Department, City of Troy and Lincoln County Ambulance District.